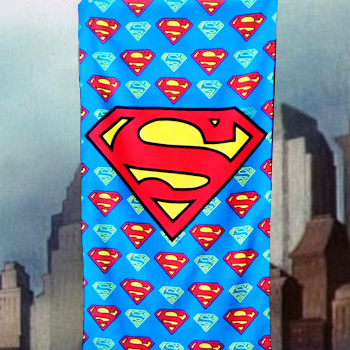 Superman beach towel soft velour lightweight and quick drying. Superman beach towel soft velour lightweight and quick drying. Striking blue velour cotton towel ideal for the beach, swimming or bath time. Great design for all ages and fans of the iconic super hero. Convenient size at 120cm by 60cm and lightweight GSM for quick drying and easy carriage.